A perfect combination of style and quality, this belt brought to you by Allen Solly will make a fine addition to your accessory collection. Crafted with care using good quality material, it is quite easy to maintain. In addition, the buckle closure ensures a snug fit while the nice shade renders it fashionable. 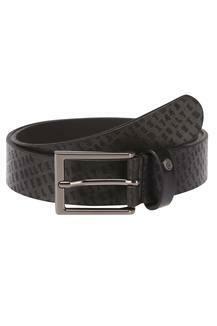 Jazz up your casual look with this nice looking buckle belt. It being reversible so that you can use it according to your convenience.